Andre Norton was born on February 17, 1912 and died on March 17, 2005. She began publishing with “People of the Crater,” using the pseudonym Andrew North (reprinted in 2003 in my anthology Magical Beginnings). Over the years, she published numerous short stories and novels, including the various stories of the Witch World cycle. She also published the first Dungeons and Dragons tie-in novel, Quag Keep, set in Gary Gygax’s World of Greyhawk. In addition to her own novels, she collaborated with a variety of authors including Rosemary Edghill, Jean Rabe, Mercedes Lackey, Lyn McConchie, Susan Shwartz, Julian May, Marion Zimmer Bradley, P.M. Griffin, Sherwood Smith, Dorothy Madlee, Sasha Miller, and more. From 1999 through early 2004, Norton organized the High Hallack Library, a research library and authors retreat in Tennessee. The library, along with her collaborations, were only a few of the ways Norton helped shape new generations of authors. Many authors claimed Norton as an influence on their own styles, even if they didn’t work directly with her. She edited the Catfantastic anthologies with Martin H. Greenberg and the Magic in Ithkar series with Robert Adams. Other anthology series allowed authors to write in her Witch World series. Norton was named the first female SFWA Grand Master in 1984. She received the Phoenix Award in 1975, the Skylark Award in 1983, the Big Heart Award in 1988, and the Forry Award in 1989. In 1994, she was inducted into the First Fandom Hall of Fame and was the first woman inducted into the Science Fiction Hall of Fame in 1997. In 1998, the World Fantasy Convention gave her a Lifetime Achievement Award (11 years earlier, they gave her a Special Convention Award). 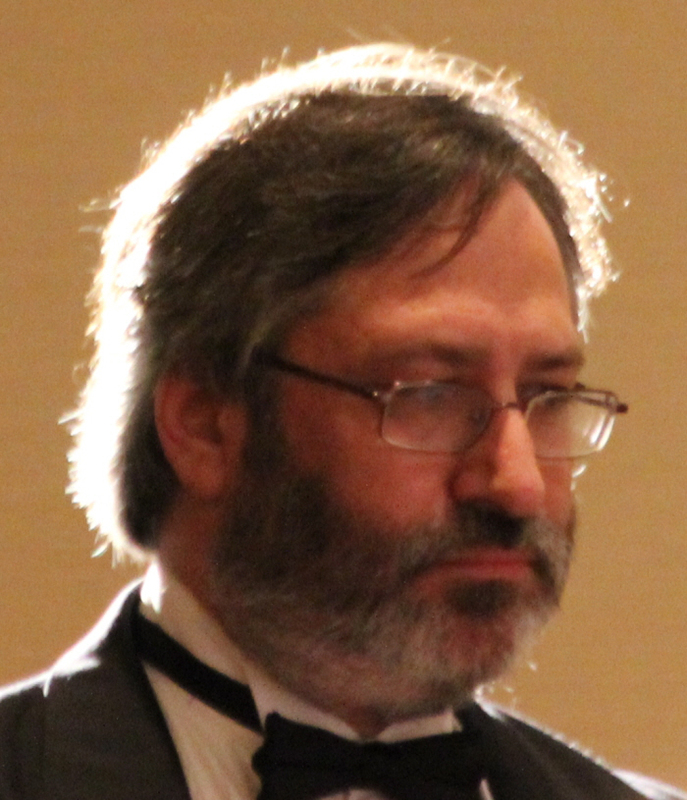 When SFWA created a Young Adult Award in 2005, it was named in honor of Norton. She received the only Coveted Balrog Award for Lifetime Achievement in 1979 and was named a Gandalf Grand Master of Fantasy in 1977. 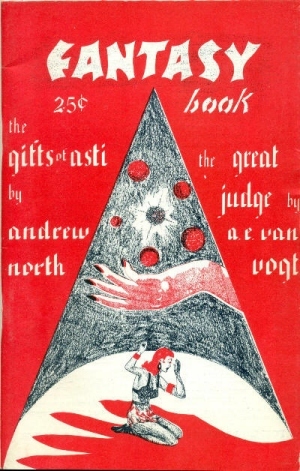 “The Gifts of Asti” was originally published under Norton’s Andrew North pseudonym in the July 1948 issue of Fantasy Book, edited by Garret Ford. The next year, it was reprinted in Griffin Booklet One and was included by Sam Moskowitz in The Time Curve in 1968. Norton used it in The Many Worlds of Andre Norton (a.k.a.The Book of Andre Norton). It was the title story in Roger Elwood’s The Gifts of Asti and Other Stories of Science Fiction and editor Jane Mobley used it in the anthology Phantasmagoria: Tales of Fantasy and the Supernatural. Spastic Press opened Anthology of Sci-Fi: The Pulp Writers: Volume I with the story and it was also reprinted in Tales from High Halleck: The Collected Short Stories of Andre Norton, Volume I in 2014. The beginning of “The Gifts of Asti” presents as a fantasy story in the Robert E. Howard vein, with the sack of Memphir and Varta, the last virgin of the god Asti fleeing from the city with her companion, a lizard-being named Lur. Norton follows them on their relatively easy escape, not showing them coming into any contact with the invading Klem. Instead, her focus more on Varta’s contemplations on the history of their planet, Erb (probably not a shout out to Edgar Rice Burroughs), and why the world has multiple intelligent species. The second half of the rather short story moves “The Gifts of Asti” from fantasy to science fiction, as Varta and Lur come across a sunken ship in a lake whose waters work to preserve anything immersed in them. Although the ship is clearly identifiable as a space ship, and Norton telegraphs the ending that Erb was settled by humans who built their own culture alongside the native lizard people. The story ends somewhat abruptly, almost giving the impression that Norton hoped to expand it or use it for background for a longer, more ambitious work. Reprint reviewed in the anthology Time Curve, edited by Sam Moskowitz, Tower Books, 1968. Nice to see the shout out to (and cover of!) FANTASY BOOK, most famous of course as the place where “Scanners Live in Vain” first appeared (in another issue to be sure). This story almost seems a template for much of Norton’s later work.